The plugin already includes the above files via CDN. We are building “Tab Containers”. Basically, content that is shown in different tabs in a page. The entire CRUD interface also comes with it – so we’ll be able to add, edit and delete tab content and items, all in one page (without refreshing). Well there really is no way to achieve this in SharePoint. 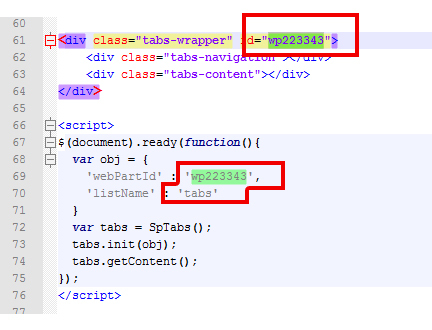 If you want to add Tabs inside an SP page, you would have to paste the whole code inside their editor. But updating this is quite cumbersome to most users. 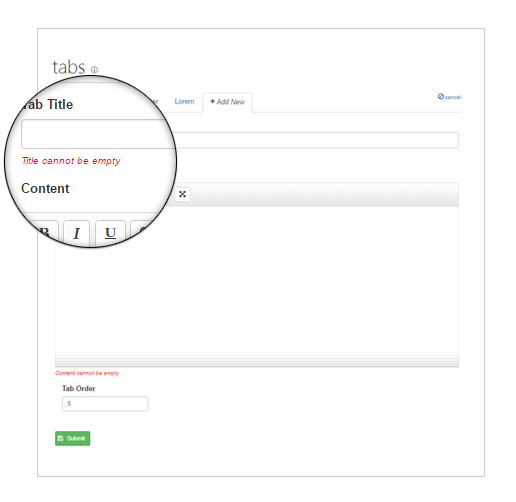 This solution provides you with a nice interface to manage your tab content, while the data is stored in an SP list. The good thing about this is, you can use multiple apps and utilize just one list. So if you convert this into a webpart or an app – you simply need one list per site to make it work. The data for our application will be stored in a custom list. The list will basically contain four columns: 1) Title: which is the default title field, 2) content which is a Rich Text type 3) tab-order a single line text value 4) webpart-id – this will be the identifier for our webpart (in case you want multiple webparts in the site). 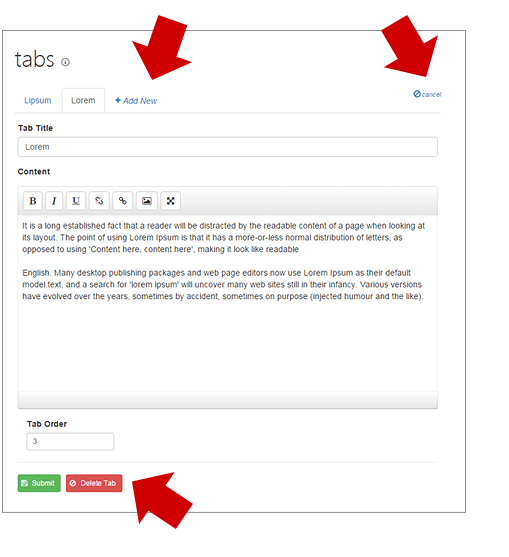 The title column will hold tab title, content is the contents of the tab, tab order is for ordering the tabs from left to right. You can go ahead and fill it out with dummy data for now, so we can go ahead and fetch the data for our front end. Note that that I have the list template also included in the Github page. We are going to use a slight variation of the “Revealing Module” pattern to construct our code. This is especially useful when you are expecting your code to be reused multiple times in a page. In our case, users might want multiple of these web parts in a page, so a “modularized” approach is needed. This is the AJAX call that goes into our API to fetch our items. As you can see, we are returning the variable “ajax” from the getContent() function, in cases where we want to add additional stuff once the response is received. But the default behavior is inside the “success” method of jQuery’s $.ajax(). Note the two methods buildTabsHtml() and buildTabsContentHtml(), and our results are in our global var “items”. So we’re ready to build some output. The code that will make this work is inside our two methods buildTabsHtml() and buildTabsContentHtml(). Let’s go ahead and build that now. Now things got a bit hairy. First you’ll notice our handlebars compile – which is normal, but note the “registerPartial()” method. This means that we’re adding another handlebars template into our existing template. This is the form that handles our inline editing. I’m not going to post the code on here, instead you can see the #tabs-content-form-template from our text file – which simply contains a few input forms for our app. Why use partials within templates? This is another powerful feature of handlebars. This allows for more re-usability and “modularity” for your applications. In other words, we write once and re-use multiple times. In our case, the form can be reused multiple times across our application – in “edit” and “new” mode. This will become evident as you write along. We’re also using a lightweight WYSWG editor called “Line Control“. Since we’re already using Bootstrap and FontAwesome, it just makes sense that we use a plugin that requires the same libraries. So this is what’s happening on lines 8-9 above: “.Editor(EditorOptions)”, where “EditorOptions” is declared on top of of our file as an array. Finally, we attach our “Save” and “Delete” buttons to do a couple of REST calls to our server when clicked. First our “Save” button is connected to our “submitChanges(id)” method (which takes care of both “edits” and “inserts”), while the next call is to “getContent()” – which is our main function to grab the tab items. Note that all of the REST calls all look similar, with a select few nodes that changes. First you’ll notice the “X-HTTP-Method” for edits is “MERGE” and “DELETE” for deleting. The rest are pretty much SharePoint REST API requirements – which you can find more on this page. Our “item” object is also mapped to the names of the list columns that we have. Depending on your list – you may need to modify this area as well. Lastly, you notice a couple of helper functions “getId()” and “findItem()”. The getId() simply returns our current div – with the “#” and a space as a string (or the CSS selector for the current div), while our findItem() loops through our global items object and returns the current item. Moving forward, let’s look at a couple of important internal methods which includes our validation and error messaging mechanism. The following screenshot shows our validation code in action. Error messaging is placed underneath each label and at the same time. This way, users can see where they had made an error and fix. Remember to add your own rules as necessary. Finally, since we’re not using the regular SharePoint process in updating a page with tabs, we need to come up with our own. See, the entity we’re updating is not the current page – but a list. So we need to check if the current user has permission to edit the list – and give them access to our newly created UI. We’re still using jQuery’s ajax to get information, though it’s wrapped inside a “SP.SOD.executeFunc()” method – which is Microsoft’s way of loading and executing internal scripts. What we get back is an array we’re calling “permLevels” This array contains all the permissions a user has against our list. 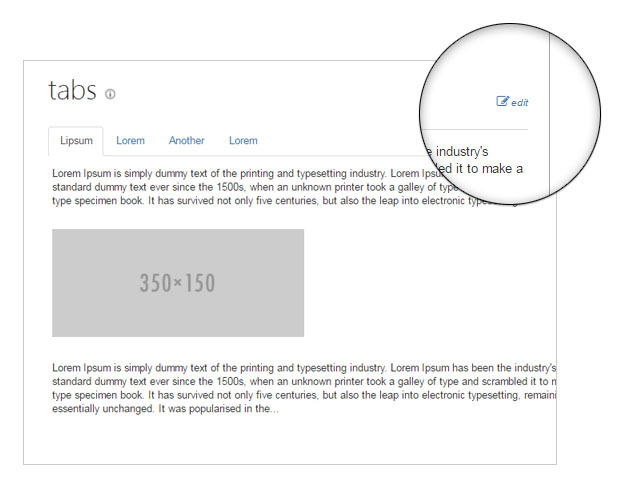 We’re simply looking for the “editListItems” – and if found, we’re show the button and let the user edit. Remember to update the initialize settings like below: The important part is the “webPartId” and “listName” parameters – which connects the plugin to the data you need. Once that’s done, simply reload the page and you should see your SPA in action. Note that the code editor I used is very basic – so you might need to go to the list itself when updating content. This editor was mostly designed for quick updates to your content. Remember, the purpose of this article was really to expose you to the inner workings of REST and how to build a single page application right inside SharePoint with existing open technologies such as jQuery, Handlebars and Bootstrap. Hope you enjoy this piece. Let me know your comments below. While I’m a veteran developer of on-premise SharePoint 2010 stuff.. we now have SharePoint Online 2016. I’m a little lost where to start. 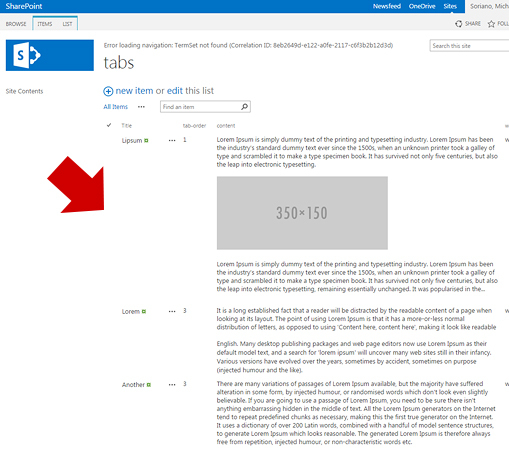 Can I do this by simply creating a new page in a sharepoint online site? I am not sure. Haven’t tried in 2016. Thanks for the article.. How to find the webpart id ? Thanks !! Really awesome article. Great to see that more functionality and power is moving over to the client side and in the process creating some really nice functionality. While reading through this I was thinking about possibly using it as a basis for creating responsive navigation for our SharePoint site. One question would have from a performance standpoint, if navigational items were list based, and a good number of the items would be security trimmed, what impact would it have on performance. Further would be better to leverage the Search API for navigation? The security trimming is done in the server side. When you do a request – the server knows will know who you are – so the response is already trimmed. A list based navigation system is good – that’s what we use in our organization. Search API is a bit complicated to work with – and a little overkill if you already know the list and the columns you want to work with. But don’t get me wrong – it is a powerful API. What Search API is really used for is it’s ability to search “in content”, like the contents of Word, Excel etc. So if you know the list you want to target, plus the columns – then I think regular REST is good. Very nice article, can you please assist how to reassemble the pieces of vode, so that we can generate the same at our end. I’m not entirely sure what you’re looking for. The entire code is in GitHub.